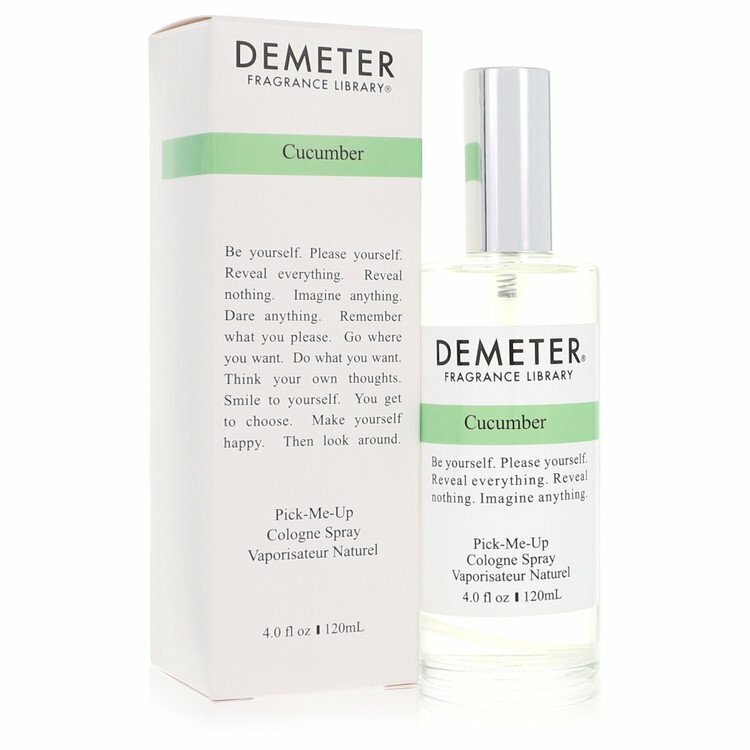 Cucumber is a feminine perfume by Demeter Fragrance Library. There are 5 reviews of Cucumber. There is a lovely cucumber that dominates the opening phase, but after the first twenty minutes a fruity, nigh-melon-y sweetness develops. It reminds me of the sweetness I remember from some pickled Polish Ogorkis. There is, however, neither acidity nor vinegar here, just the gentle and somewhat generic sweetness. I get soft sillage, adequate projection and four hours of longevity on my skin. A spring scent with a nice opening but with a generic sweet undertone that prevails over time. It is never cloying though, just anaemic and a bit thin. Not a fresh cucumber after the opening stage. Not right for a cucumber sandwich. 2.5/5. This is cucumber without a doubt. But it's not fresh and crisp. It's sweet. It goes towards melon! Sillage and longevity are weak, but it can make a good child summer scent! The closest to a real cucumber as I've ever gotten. Refreshing. Reminds me of VS Tranquil Breezes. Demeter doesn't last long on my skin. This lovely frag is a bit too dainty for even everyday use as far as I am concerned. I love big spicy scents on my skin, as a rule. But it smells so clean and so unassuming that I go through tons of it...as a room scent. My living room always feels so light and airy, and people just relax the instant they inhale. Odd, I know, but worth it. There are no member images of Cucumber yet. Why not be the first?